Serre Chevalier is a big south-facing valley, between the Col du Lautaret and Briançon with 13 villages dotted along it going from ultra-modern hamlets to old-style villages. Each resort is served by a good lift system and it is easy to ski between the resorts. The bus system for ski holidays in Serre Chevalier is efficient and it does not matter if you end up in the wrong resort at the end of the day. 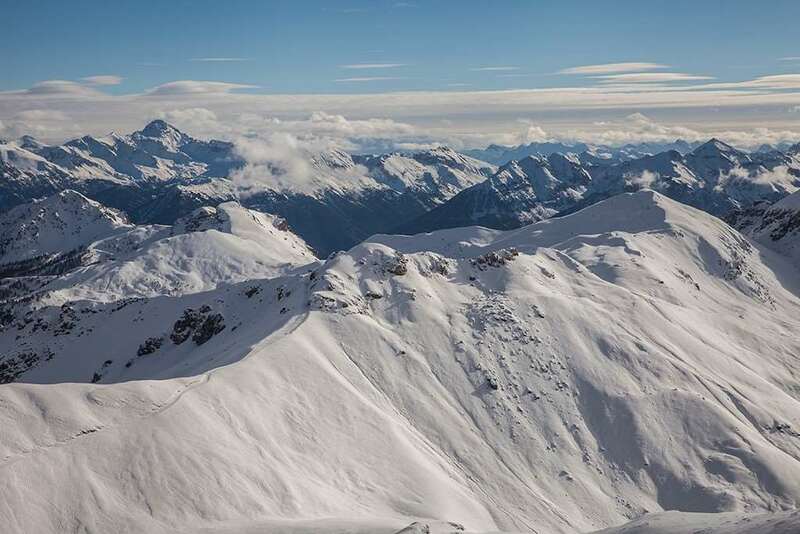 Located between 1,200 and 2,800 metres above sea level Serre Chevalier is one of the biggest ski areas in France - “Le Grand Serre Che” has 250 kilometres of north facing pistes for everyone from beginners to experts! There are excellent gentle beginners’ runs next to Villeneuve village. Intermediates can ski through the Parc National des Ecrins in some of the most glorious scenery in the French Alps, including the long red runs from the Prorel, Aiguillet and Eduits. There are also fantastic challenges for advance skiers – bump fiends will enjoy moguls on the twisting runs to Le Bez and speed Freaks will love the superb “Olympic Luc Alphand” black run. Serre Chevalier is regarded as one of the top snowboarding destinations in France due to amazing natural terrain and off-piste opportunities. Many of the slopes have snow making facilities for more guaranteed skiing throughout the season. Apres ski for ski holidays in Serre Chevalier is relaxed and informal with a number of popular bars to choose from. La Grotte du Yeti is popular and lively, offering live après ski 6 nights a week, and Happy Hour whenever it's snowing. Look in at the lively Le Frog and Loco Loco bars with excellent music. Good night clubs include La Baita and Bam Bam. One word AWESOME !! !, its got everything you could want, The piste's are fantastic , and off piste is brilliant , the snow park is wicked, the lift system was great no queues only time it was busy when heading back home to the hotel on some of the paths. We stayed at the hotel GRAND AIGLE , which in order: had great beer with two happy hours about 3.5 euro a pint with table football , pool and video games, Staff were all youngsters and great made sure our meal times everything was o.k. and food was great and plenty. SKI EQUIPMENT was great and no trouble to go back and change or adjust anything and great tips where and when to ski certain parts , Rooms were warm and comfy , and just outside our hotel just yards away were 5 or 6 great restaurants. All in all we had a great ski all week huge amount of ski area to choose from and plenty of mountain restaurants to choose with great food not to expensive about 10 euros for a good meal i.e. sausage , 2 eggs ,salad, chips , bread roll and bottled water. Second time we have visited this resort. Ideal for families with mixed ability skiers as there is a choice of runs at top of almost every lift and down to the villages at the end. Despite being the Paris and UK half term period, lift queues were rare except at base in Villeneuve and at end of day with people skiing home. We had many empty pistes - go to monetier , briancon and the middle level tree lined pistes and no one on pomas. The mountain restaurants are great and have lots of deck chairs. The only disappointing one was at base of monetier. Top tip you can pre book your lift passes, and get a family one if appropriate. Local tourist info website has really useful map showing where everything is. If staying near aravet square you can leave skis etc with ski hire shop opposite lifts. Also often quicker to go up to micky poma and ski to chair lifts than queue for aravet gondola.